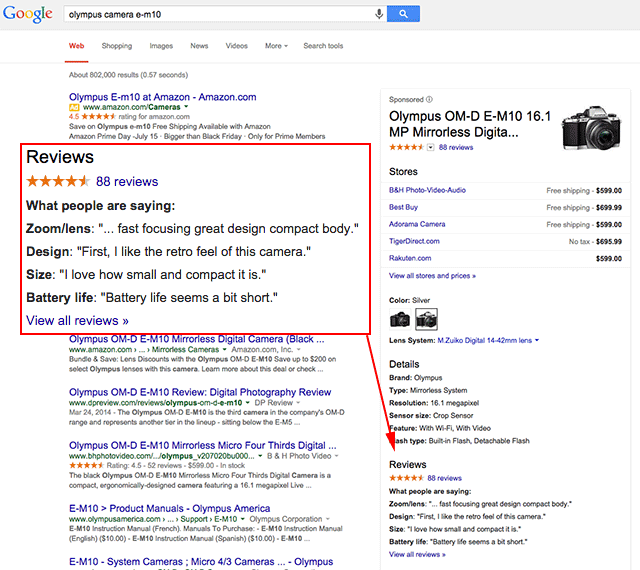 Google seems to have added a new feature to their product knowledge graph, not just showing ratings and store reviews, with pricing and product specifications but also sharing written reviews about the product, taken from third-party sites. There is a new section named "What people are saying" under the pricing box on the right side of the Google search results. You can likely replicate this yourself by searching for [olympus camera e-m10]. 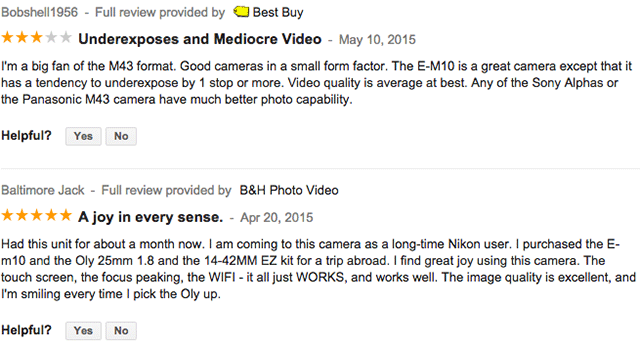 When you click on the reviews, it takes you to this landing page which sources snippets of those reviews, with an icon saying "Full review provided by" merchant name, but there is no link to the review (as far as I can see). So interesting to see Google keep trekking down this path. Update: You can actually click on the company name in the review to go to the review but the action to click is not obvious.